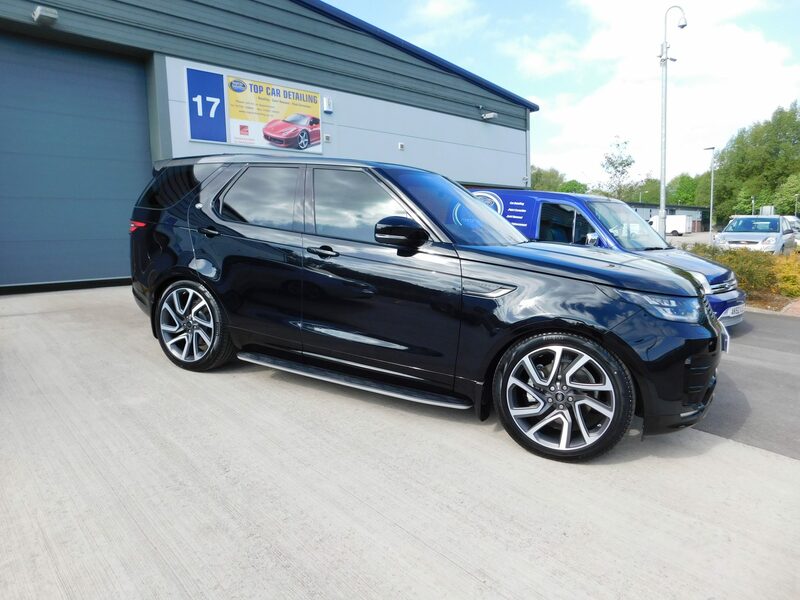 Here is the New Land Rover Discovery that came in for a new car detailing package, this car had been washed and a coating applied to the paintwork before being delivered. Take a look at the before and after pictures as the cars paintwork had defects in it due to being washed improperly. There was lots of swirl marks and holograms in the paintwork on the Land Rover Discovery and it needed a three-stage machine polish to do all the correction work on this vehicle. The customer was looking for long term protection as this car would be doing lots of motorway millage and drive in all kinds of weather. After a discussion and advising our customer on our car detailing packages we decided to apply the Gtechniq crystal serum Light and Exo forming CS Black. This particular product comes with a 5-year manufacturer Guarantee at Top Car Detailing, if you would like any advice regarding this coating then please get in touch. Once the coating is applied to the vehicle it is then left for 24 hours in our sterile dust free car detailing studio to cure fully before being handed back to the customer. This is very important as we want to make Sure that the coating has fully cured and a full vehicle inspection is done before any car is released from our secure car detailing studio.